Today is "play a joke on your co-worker" day. I bet you didn't know that day existed did you? 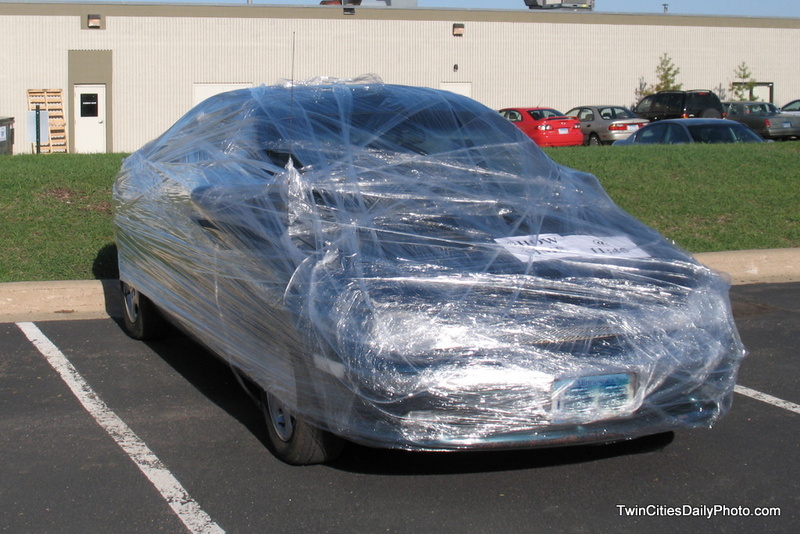 Okay, it doesn't exisit, but that didn't stop a couple of internet-addicted, potential wedgie victims, from shrink wrapping an entire Dodge Neon. Yes, it was decided on Monday, one of their co-workers from the department they work in, would get their vehicle wrapped entirely in plastic. 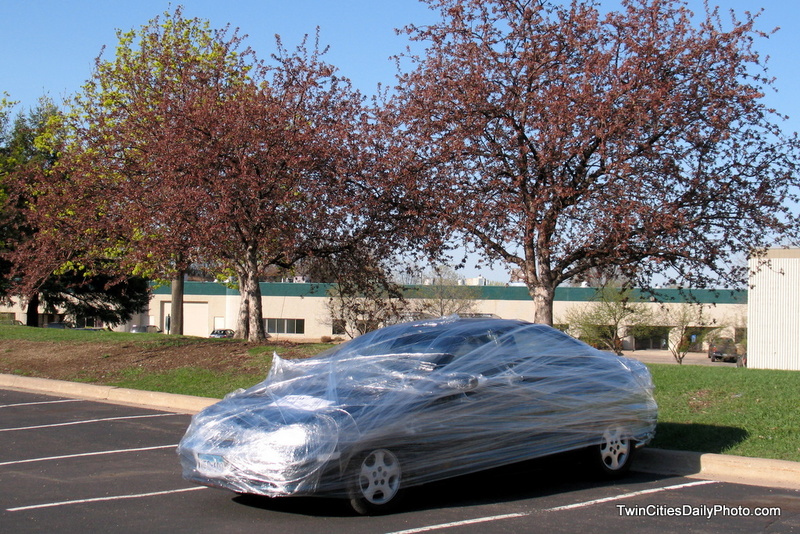 I didn't see the unwrapping, but my guess is, it took less time to unwrap, than it did to wrap the entire car. Though I would have liked to have seen more detail wrapping, like on the tires, mirror, antenna, wipers, etc. Something that would have made it more of a challenge during the unwrapping phase. It was all in good fun.